Xiaomi's smartphone trivia - Is Redmi 5 the new king in the budget category at INR 7,999? Xiaomi, the Chinese electronics company that has risen to the top in India with its best-selling smartphone - Redmi Note 4, has no plans of letting the position go to other smartphone manufacturers. With a plethora of smartphones available ranging from budget to the premium price segment, Xiaomi has managed to provide its customers with smartphones in each of these categories. Whether it is the upcoming Mi Mix 2s or the Redmi Note 5 and Note 5 Pro, Xiaomi has launched smartphones addressing the necessity of the present day users. With the launch of Redmi 5 series smartphones, the company has left no gap at all in its lineup and now offers smartphones starting from as low as 8,000 rupees in India. The smartphone will be up for sale on Amazon India in a flash sale starting from 20th March, 12 P.M IST and also at the Mi India official site at the same time. The Redmi 5 comes with a 5.7-inch screen and sports an 18:9 full aspect ratio. The body has been provided with aluminum chassis and has rounded corners to provide better in-hand feel. It is available in 4 color variants namely - black, rose gold, gold, and lake blue of which all of them will be available in the upcoming flash sale. Unlike other smartphones that offer Snapdragon 425 or 430 chipset in their budget segment devices, Xiaomi has updated the Redmi 5 with Snapdragon 450 Soc which has been crafted on a 14nm Silicon wafer and is noted for its power efficiency. The octa-core processor comes coupled with Adreno 506 GPU that offers a lag-free gaming experience. The smartphone comes in 3 memory variants -2GB +16 GB, 3GB+32 GB and 4GB+64 GB with a price tag of Rs 7,999, Rs 8,999 and Rs 10,999 respectively. The device comes with a 12 MP rear camera with 1.25-micron large pixel size support and a 5 MP front camera with LED flash support. The rear camera comes with features like Face Detection, Panorama, Burst mode, Low Light enhancement, etc. whereas the front camera has Beautify 3.0 support to capture clear selfies in any conditions. The camera performance has been improved compared to its predecessors and Xiaomi has also assured buyers to expect better camera performance during the launch event as well. Connectivity options include but are not limited to Wi-Fi 802.11 b/g/n, Bluetooth 4.2, 4G VoLTE, etc. It offers a hybrid SIM slot and can support either a nano + micro SIM or a micro SIM + micro SD card. It also has 3.5 mm audio jack and USB type B tethering connectivity option. Sensors on board include Proximity, Gyroscope, Accelerometer, vibration motor, Ambient Light sensor and a Fingerprint scanner. It also has an IR blaster functionality support which helps in controlling several home appliances via the mobile device. The phone is powered by 3,300 mAh battery and comes with a clear soft case, Power adapter, SIM Insertion tool and warranty documents in the box. Hence, as per the specifications, the Redmi 5 with 3 GB RAM and 32 GB ROM seems a value for money device at a price point of Rs 8,999. The other two options seem pretty expensive if considered at the quoted price range. The possible alternatives can be the Redmi Note 5 and Note 5 Pro for the 2 GB RAM and 4GB RAM variants. However, it is very tough to get hold of these devices during the flash sales. 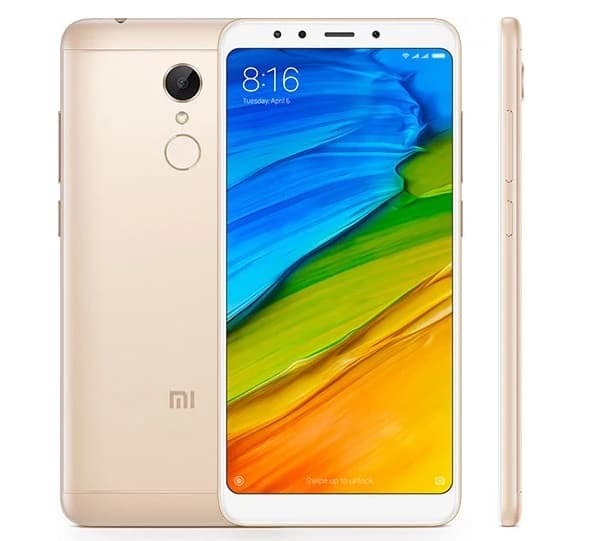 Xiaomi's devices especially Redmi series have created quite a buzz in the Indian smartphone market and their unavailability a kind of desperation in the people towards the upcoming flash sale. Given that the devices almost seem to be value for money, the next thing that people expect is the increase in the supplies and end to these ephemeral flash sales. Did it will be better choice than Redmi Note 5 pro? Redmi Note 5 Pro has a good camera and processor configuration. If possible, go for the Redmi Note 5 Pro with 4 GB RAM + 64 GB ROM. Unfortunately, it is tough to get a hold on these devices. Amazon has held better flash sales in the past and it is expected that there will be a number of units of Redmi 5 available for sale on Amazon. So, my suggestion would be to go with Redmi 5 if you can't get a hand on Redmi Note 5 Pro. Redmi note 5 is better than ever but right now xiaomi mi 7 is better option to go you check because right now is demand is high.